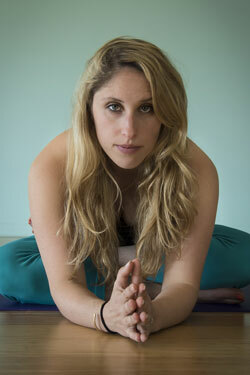 Kate Lundquist has been a yoga instructor for 8 wonderful, heartfelt years, and a practitioner for 12. She has studied with Shiva Rea, Ganga White and Tracey Rich, Shala Worsley, Kofi Busia, Stephanie Snyder, and Erich Schiffman, and currently teaches at Asheville Yoga Center. Kate is also a freelance writer for the wellness section of the local paper, Mountain Xpress, and project manager for a web design company for spiritual entrepreneurs, PowerUp Productions. She believes you can weave your life together to create the life you want to live.